You’ll love this! 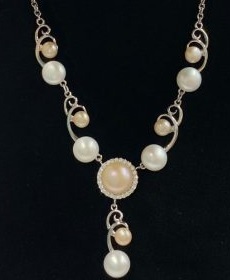 Sam at Modern Jewelers, located in Rolling Hills Plaza, has generously donated a beautiful 19″ Italian Silver and fresh water cultured pearl necklace with halo design center and large lobster claw clasp for our silent auction. Value $800 Visit https://lascandalistas.org/events/2019se/ to purchase tickets to our spring event California Dreamin’. Limited availability for tickets!